Who invented Volleyball? The name of the person credited with inventing Volleyball is William G. Morgan (1870 - 1942). William G. Morgan is not only famous as the American inventor of Volleyball but also as a Director of Physical Education. When was Volleyball invented? William G. Morgan invented Volleyball in 1895, during the Second US Industrial Revolution / Victorian period of invention (1850 - 1914). The invention of Volleyball originated in America an enjoyable addition to the world of Sport. Definition of Volleyball: Volleyball is defined as an outdoor or indoor ball and net game played in which two teams of six players hit an inflated round ball over a high net using their hands in order to score points by grounding a ball on the other team's court. The players are not allowed to catch or carry the ball but are allowed a maximum of three hits, without allowing the ball to touch the ground, before returning the ball to the opponents court. Fact 1: Who invented Volleyball? The Volleyball was invented by William G. Morgan in 1895 during the Second US Industrial Revolution era of inventions (1850 - 1914). Fact 2: Who invented Volleyball? Prior to the invention of Volleyball in 1895, basketball had been established just four years before, in 1891. The game of Volleyball was designed to combine elements of the newly established game of basketball with the older games of baseball, tennis, softball, handball and badminton. Fact 3: Who invented Volleyball? The Industrial revolution had changed the lives of people. There was more time for leisure, great stadiums and recreational parks were being introduced and people had begun to enjoy different sports. Fact 3: Who invented Volleyball? The inventor of Volleyball, William G. Morgan, was born on January 23, 1870 in Lockport, New York, United States and died on December 27, 1942. 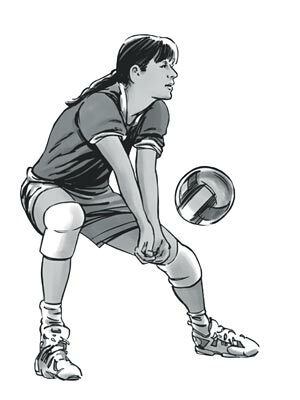 Fact 4: Who invented Volleyball? The game of Volleyball was originally called 'mintonette' a derivation of badminton and 'nette' meaning to "take hold of". The name was changed to the more descriptive term 'Volleyball' in 1896, which was taken from the word 'Volley' used as a sporting term in tennis meaning "to return the ball before it has hit the ground". act 5: Who invented Volleyball? The early years of William G. Morgan were spent in Lockport, New York, United States where he was raised by his family. William G. Morgan was educated at Mt. Hermon Preparatory School in Northfield, Massachusetts and Springfield College. Fact 6: Who invented Volleyball? Following his education, in 1894, his first job was as physical director of the Auburn, Maine YMCA. and the next year took up a similar post at the Holyoke YMCA in Massachusetts where he was given the opportunity to develop sports programs for adult males. Fact 7: Who invented Volleyball? William G. Morgan's aim was to create a new game, that could be played indoors or outdoors, that did not require the expense of bats or rackets. He decided that a net would be a simple way of diving two teams playing a ball game and his idea of 'mintonette' , later Volleyball, was born. Fact 8: Who invented Volleyball? The idea of a simple net stuck and the idea of hitting a ball with the hand, instead of a racket as in tennis, over a high net was different to any other sport. William G. Morgan decided that a good height for the net should be above head-height, about 6 feet 6 inches from the ground. Fact 9: Who invented Volleyball? The kind of ball to be used for such a game caused a problem. Existing balls were too light and too slow or too heavy and too fast. Fact 10: Who invented Volleyball? William G. Morgan asked the sporting goods firm of A. G. Spalding & Bros. of Chicopee, Massachusetts and they developed a prototype game ball. Fact 11: Who invented Volleyball? William G. Morgan went on to devise the rules of his new game and enthusiastic volunteers at the Massachusetts YMCA began playing the new game. Fact 12: Who invented Volleyball? William G. Morgan arranged a demonstration of 'mintonette' for the YMCA Directors of Physical Education at at the YMCA Training School at Springfield College. Fact 13: Who invented Volleyball? Morgan selected firefighters J.J. Curran and John Lynch to be captains of the two teams and presented hand written rules of the new game to the directors. Fact 14: Who invented Volleyball? The game was thoroughly enjoyed by participants and spectators alike. Its appeal was that the sport was so versatile, could be played outdoors or indoors, did not require expensive equipment and could be played by people of all ages, not just students like many other sports. Fact 15: Who invented Volleyball? After reading the rules and seeing the demonstration of the game, a Professor at Springfield College called Alfred T. Halstead suggested the name be changed to “Volley Ball” because the object of the game was to “Volley” the ball. Fact 16: Who invented Volleyball? The game of Volleyball was a resounding success and in 1897 the first official handbook of the North American YMCA Athletic League was published. Fact 17: Who invented Volleyball? During the 1920's the game of Beach Volleyball was established in California. The professional game of Beach Volleyball was introduced in the 1970s and the sport achieved Olympic status in 1996. Fact 18: Who invented Volleyball? In 1928 William G. Morgan witnessed the establishment of the United State Volleyball Association and his invention of Volleyball had spread to many other countries in the world. Fact 19: Who invented Volleyball? In 1938 William G. Morgan was honored at the Springfield College Alumni Dinner as the inventor of Volleyball. Fact 20: Who invented Volleyball? William G. Morgan died on December 27, 1942 at his home in Lockport, New York. Fact 21: Who invented Volleyball? The Federation Internationale de Volleyball (FIVB) was founded in 1947 and the sport made its Olympic debut at the 1964 Tokyo Games. Fact 22: Who invented Volleyball? In 1985, William G. Morgan was honored with the distinction of being the first inductee of the Volleyball Hall of Fame in Holyoke, Massachusetts that had been established to preserve the history of this popular sport.